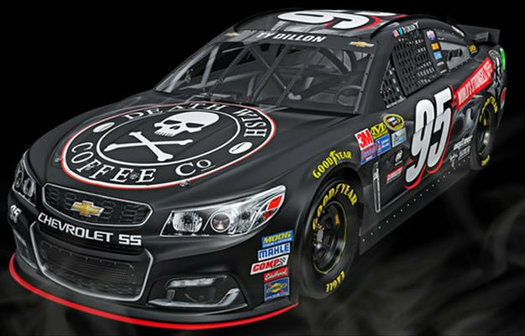 Check it out: Death Wish Coffee is following up its Super Bowl ad with sponsorship of a NASCAR race car. Death Wish Coffee -- the hyper-caffeinated coffee brand ("the world's strongest coffee") that grew out of Saratoga Coffee Traders -- is based in Round Lake. As you probably saw, it won a Super Bowl TV spot this year via a Quickbooks contest.